Tag Archive | "Heartwarming treats"
(Family Features) The holiday season is never complete without friends and family gathered ’round for festive cheer and merriment. Whether you’re the hostess with the mostest or an extroverted elf whose calendar is bursting at the seams, there’s no need to fret over what you’ll serve at your next event—even when you’re pressed for time. According to the National Confectioners Association, 77 percent of adults include candy in Christmas stockings or gifts, 62 percent celebrate with a candy bowl at work or at home and 62 percent bake with candy or chocolate at the holidays. From candy canes to chocolate Santas, seasonal varieties are nearly endless and emerge long before Rudolph makes his rounds each Christmas Eve. 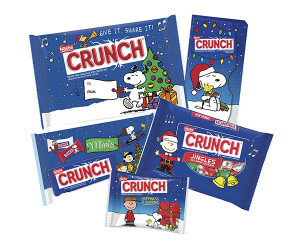 A nostalgic addition to the candy aisle this winter, the Nestlé Crunch Peanuts Collection inspired by Charles Schulz’s beloved Peanuts gang is fully decked for the holidays, complete with Charlie Brown, Snoopy and all of the characters you love. Hailing from the most influential comic strip of all time, read every day by 355 million people in 75 countries, the beloved characters span across newspapers, Emmy-winning television specials, a full length film and now, Nestlé Crunch chocolates. Looking for a treat to bring to your next holiday gathering? 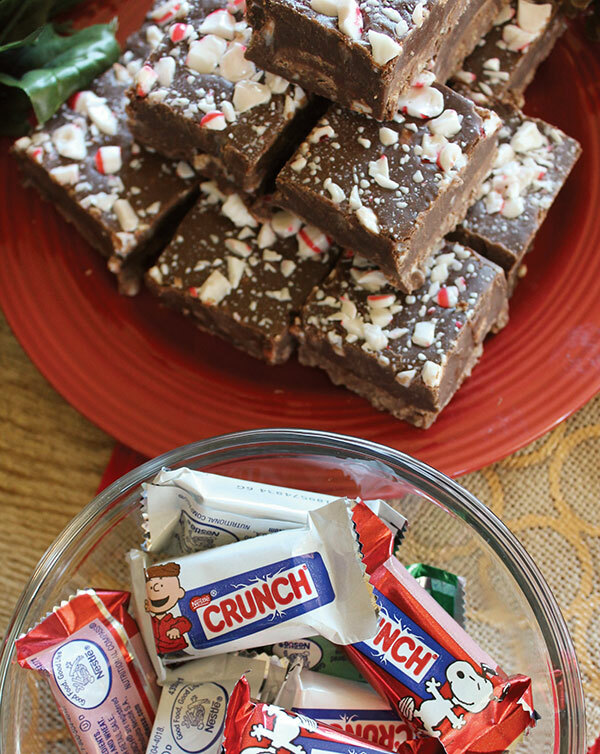 In just 20 minutes, you can whip up these heartwarming Peppermint Crunch Fudge bars, featuring Nestlé Crunch miniatures. Your guests will love the texture of the crunchy milk chocolate paired with a burst of peppermint flavor. Plus, it’s a recipe so simple even the kids can join in on the baking fun. For more holiday inspiration, visit VeryBestBaking.com. Line 9-by-9-inch pan with foil and spray with cooking spray. Place bars in even layer on bottom of pan. Place chocolate chips, sweetened condensed milk and peppermint extract in medium saucepan over low heat. Stir until chips and milk are melted together. Mix in 1/8 cup crushed candy canes. Once everything is melted together, spread evenly over bars in prepared pan. 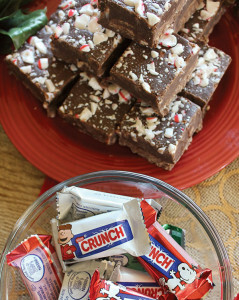 Immediately sprinkle with remaining crushed candy canes, pressing lightly into fudge. Cool until firm, then cover with plastic and place in refrigerator to harden completely. Cut into squares and serve.